You can mark a specific scene while recording video. When a mark is made, the marked position is recorded to make it easy to find the position and start a digest playback. Tap “YES” to enter into the mark mode. Tap , or at the scene you want to mark. 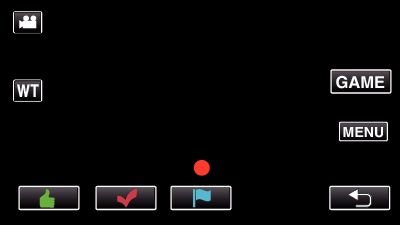 End recording a video by pressing the START/STOP button, and end the mark mode by tapping . 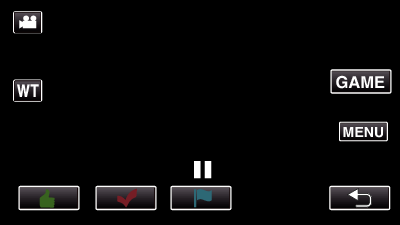 Tap “GAME” to start the game. Tap , , , or at the scene you want to mark. Tap to display the score selection screen. 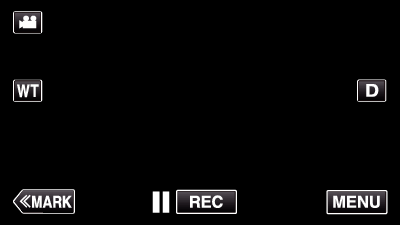 End recording a video by pressing the START/STOP button, and tap “GAME ”. 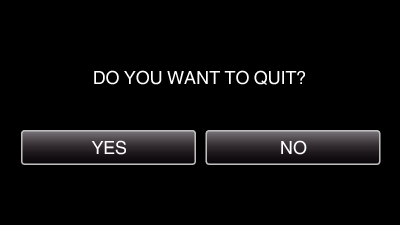 Tap “YES” to end the game. Tap to end the mark mode. Use this when the athlete is playing well. Use this when the athlete is not playing well. Use this when you want to check the particular play later. Use this when a score is entered. Use this when a player is replaced. 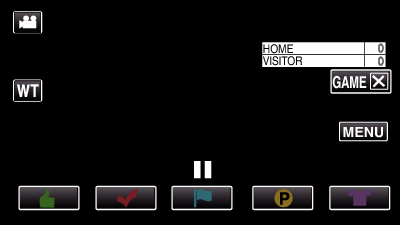 The score display is recorded if you start recording after performing an operation to start a game. A recorded score display cannot be deleted later. Marking function is unavailable during high-speed recording. 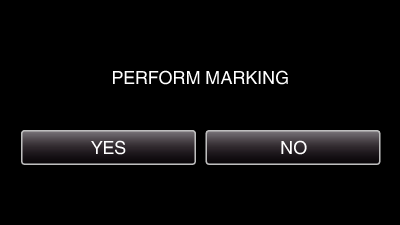 Tap “MARK ” after a marking is made, to cancel the previous mark. Refer to the below for playing back the marked scenes. By installing a specialized application in your smartphone, the mark operation can be done from the smartphone.